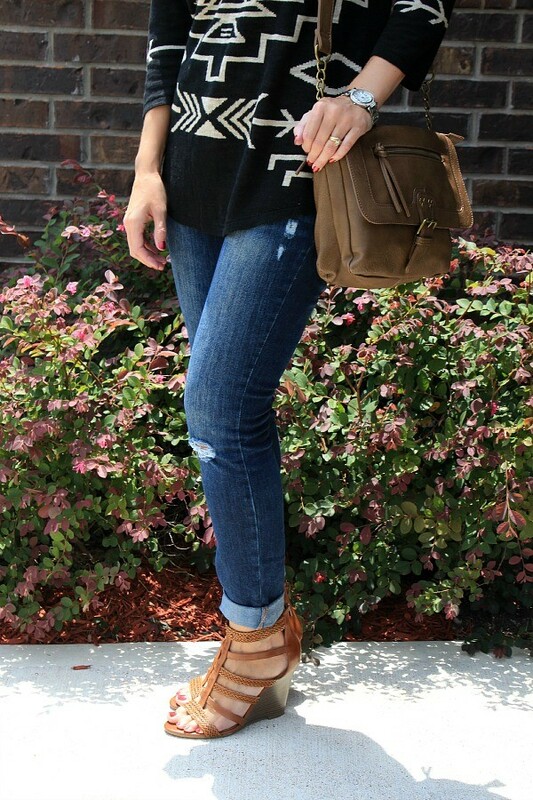 One trend I’ve shied away from this spring and summer, and really always have, is the tribal trend. I’m not sure why I haven’t just embraced it. It was all over the fashion show runways for spring. You can expect to see it quite a bit this fall, from tribal print leggings and accessories, to handbags and sweaters. I’ve found a way to embrace this trend and am now in love with it. I give all of the credit to my new favorite fall sweater from J. Jill. Introducing one of their new pieces for July/August – The Canyon Pullover. I also wore this sweater the other day with a pair of white shorts and black sandals. You can dress it up or down, by throwing a blazer over it for work. I wonder what this would look like layered over a white button up? Hmmmm…I am definitely trying that! If it looks as fabulous as I think it might, I’ll share the look with you. Here are a few more pieces from J. Jill I would recommend for incorporating the tribal trend into your wardrobe. 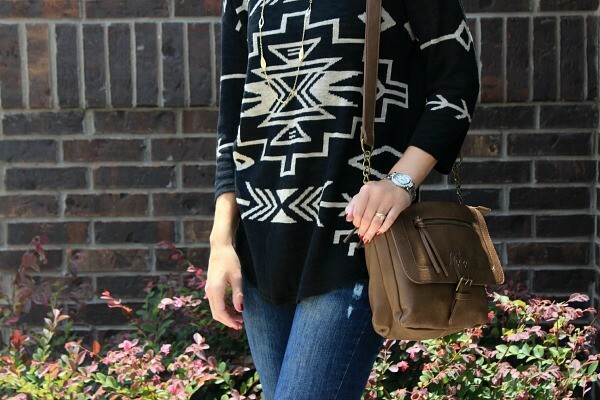 Do you love a good tribal print piece? I’m hooked now! If you liked this post, would you do me a favor and please share it? Thank you!! Disclosure: Mom Fabulous received samples to facilitate this feature. No other compensation was received. All opinions are my own. Cute, cute cute! You look gorgeous. OMG I love this sweater. And the shoes! I love the whole outfit. You look great!